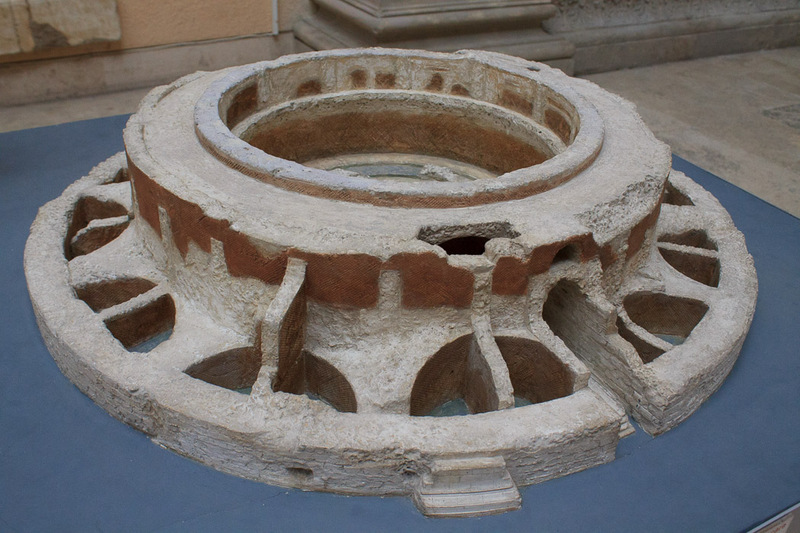 The Mausoleum of Augustus is a large round tomb built by emperor Augustus in 28 BC as a tomb for himself and his family. It is 295 feet in diameter and 137 feet high. The Esquiline Obelisk and the Quirinal Obelisk once flanked its arched doorway. The ashes of Augustus and many family members were buried here, including (in order of death) his nephew Marcellus (of Theatre of Marcellus fame, Marcus Agrippa (his life-long friend, general, and builder), Drusus the Elder, and Gaius Caesar and Lucius Caesar, Augustus, Drusus the Younger, Livia, Tiberius, Agrippina (mother of Caligula), Nero and Drusus (brothers of Caligula), Poppaea (wife of Nero), and Nerva. Emperor Nero flouted all sense of Roman decorum by having his dead pregnant wife Poppaea's body (who he had kicked to death because he was in a rage when he returned from an evening out at the chariot races) laid to rest in the Mausoleum of Augustus. During the sack of Rome by Alaric in 410 AD, the Visigoths rifled the vaults, stole the urns and scattered the ashes. During the Middle Ages the mausoleum became a fortress of the Colonna, dismantled in the 12th century and turned to ruin. About 1550 the Soderini family made it into a hanging garden. In the 18th century it became an arena for bullfights, and in the 19th century it was used for circus and theatrical performances. In the 1930's, Mussolini, who saw himself as the 'reborn Augustus' about to assert Italian dominance again, attempted to preserve the Mausoleum of Augustus as an archaeological landmark, but today the site is not open to tourists and looks again to me like a hopeless ruin. I cannot recommend that you make a special trip to see the mausoleum, but if you go to see the Ara Pacis it's worth a glance since its right next door. 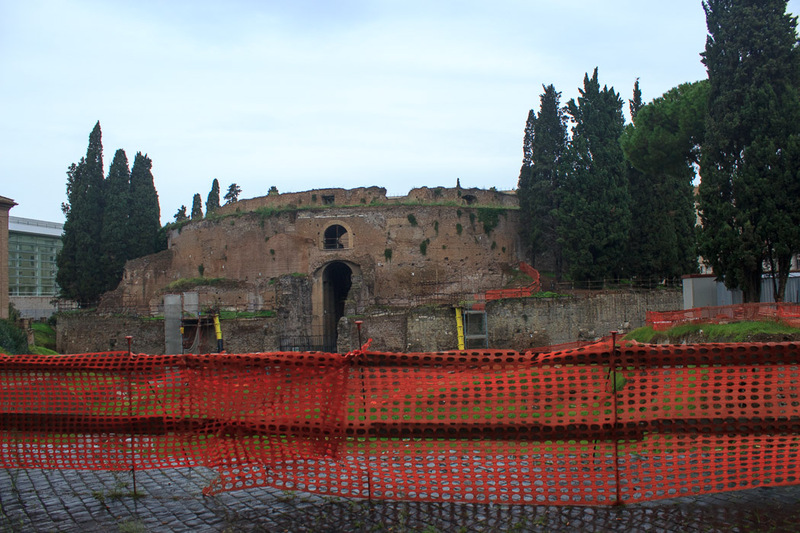 See all Mausoleum of Augustus photos.